Theodore Dreiser was born in Terre Haute, Indiana, in 1871. The ninth child of German immigrants, he experienced considerable poverty as a child and was forced to leave home in search of work at the age of fifteen. After briefly attending Indiana University, Dreiser found work as a reporter at the Chicago Globe. Later he worked for the St. Louis Globe-Democrat, the St. Louis Republic, and the Pittsburgh Dispatch, before moving to New York, where he worked for the New York World while attempting to establish himself as a novelist. Dreiser was influenced by such authors as Charles Edward Russell, David Graham Phillips, and Frank Norris. In fact, it was Norris, who was working for Doubleday at the time, who helped get Dreiser's first novel, Sister Carrie, published. However, the Doubleday owners disapproved of the novel's subject matter, so it was not promoted and therefore sold poorly. Dreiser continued to work as a journalist as well as write for mainstream newspapers, such as the Saturday Evening Post. At the same time, his work was being published in such socialist magazines as the Call. However, unlike many of his literary friends, he never joined the Socialist Party. Dreiser's second novel, Jennie Gerhardt, was not published until 1911. With the support of the literary critic Floyd Dell, who considered Dreiser a major writer, Sister Carrie was republished in 1912. This was followed by two novels: The Financier and The Titan, which is about Frank Cowperwood, a power-hungry business tycoon. The Genius was published in 1915, but it was another ten years before Dreiser's greatest novel, An American Tragedy, appeared. The book is based on the Chester Gillette and Grace Brown murder case that took place in 1906. In addition to novels, Dreiser, a socialist, wrote several nonfiction books on political issues, including Dreiser Looks at Russia, Tragic America, and America Is Worth Saving. 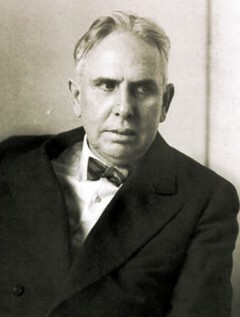 Dreiser joined the American Communist Party just before he died in 1945.